The democratic aspirations of the protesters who filled streets and public squares across Syria in early 2011 were among the conflict’s first casualties. If democracy as an outcome of the uprising was always uncertain, its prospects have been severely crippled by the devastation of civil war and the deepening fragmentation of Syrian society. Democratic prospects appear bleak for reasons that extend beyond the destructive effects of civil war. Conflict has not only eroded possibilities for democratic reform, it has provided the impetus for a process of authoritarian restructuring that has increased the Assad regime’s ability to survive mass protests, repress an armed uprising, and resist international sanctions. Even as state institutions have all but collapsed under the weight of armed conflict, war making has compelled the Assad regime to reconfigure its social base, tighten its dependency on global authoritarian networks, adapt its modes of economic governance, and restructure its military and security apparatus in response to wartime exigencies. While the outcome of the current conflict cannot be predicted, these adaptations are likely to influence how Syria is governed once fighting ends. Should they become consolidated, they will vastly diminish prospects for a post-conflict democratic transition, especially if Syria ends up either formally or informally partitioned. Syria’s experience highlights the possibility that an authoritarian regime might adapt to the demands of an insurgency, increasing the likelihood of regime survival and affecting both the outcome of a conflict and whether a postwar political settlement will be democratic. Syria’s civil war is far from over. It is possible that the authoritarian system of rule initiated by the Baath Party in the early 1960s and later captured by the Assad family and its clients will yet be “annihilated” as a result of protracted civil war. Such an outcome would broaden the range of potential post-conflict settlements to include a transition to democracy. From the vantage point of late 2013, however, the process of authoritarian restructuring that the regime has undergone during two years of armed insurgency makes such an outcome far less likely. What seems more plausible is that the repressive and corrupt authoritarian regime that entered civil war in 2011 will emerge from it as an even more brutal, narrowly sectarian, and militarized version of its former self. While Syria may be an extreme case, it is not an outlier in the violence that has marked the Assad regime’s response to the rise of mass politics. The brutality of the regime’s tactics fall at the far end of a spectrum of reactions to anti-regime protests. These tactics reflect Syria’s distinctive social composition, institutional make-up, and political orientation as a lead member of the “resistance front” facing Israel. In their details, therefore, the adaptations that are reshaping authoritarianism in Syria may not be generalizable to regimes that govern differently configured societies and polities. Yet milder versions of the Assad regime’s coercive tactics may be seen on the streets of both Bahrain and Egypt, underscoring the insights that can be gleaned from the Syrian case into how Arab autocrats will react as the dynamics of mass politics continue to unfold in today’s Middle East. The adaptations of the Assad regime can be traced to the earliest months of the Syrian uprising in March 2011, if not earlier. Syrian scholar Hassan Abbas says that in February 2011, Assad “formed a special committee” which concluded that the Tunisian and Egyptian regimes had failed because they did not crush the protests instantly. [i] Thus, almost as soon as the first major protest broke out in the southern city of Deraa on March 18, 2011, the Assad regime started shooting (Leenders and Heydemann 2012). As more protesters took up arms to defend themselves, the regime escalated its violence to the level of large-scale military offensives involving armored units and heavy artillery against major urban centers. It also moved to brand a peaceful and cross-sectarian protest movement as a terrorist campaign led by Islamist extremists. Peaceful protests continued across much of the country into 2012, but the uprising gradually transformed into a full-fledged and increasingly sectarian civil war. The regime’s responses to these developments included a set of internal institutional adaptations and policy shifts. They also included modifications to its management of regional and international relations in the face of deepening international isolation and the imposition of a dense web of economic and diplomatic sanctions. Domestically, the Assad regime has promoted exclusionary sectarian mobilization to reinforce defensive solidarity among the regime’s core social base in the Alawite community and non-Muslim minorities — benefiting from but also contributing to broader trends toward regional sectarian polarization. It has reconfigured the security sector, including the armed forces, paramilitary criminal networks, and the intelligence and security apparatus to confront forms of resistance — in particular the decentralized guerrilla tactics of armed insurgents — for which they were unprepared and poorly trained. Regime officials have reasserted the role of the state as an agent of redistribution and provider of economic security — despite the utter destruction of the country’s economy and infrastructure. Officials now blame the limited economic reforms championed by economist and former Deputy Prime Minister Abdallah Dardari as the cause of grievances that moved citizens to rebel. The regime has also continued to make use of state-controlled Internet and telecommunications infrastructure to disrupt communications among regime opponents, identify and target opposition supporters, and disseminate pro-regime narratives. At the regional and international levels, the Assad regime has exploited its strategic alliance with Iran and Hezbollah both for direct military and financial assistance but also as sources of expertise and training in specific modes of repression, including urban warfare and cyber warfare, in which its own security sector lacked experience. The regime has similarly exploited its strategic and diplomatic relationships with Russia, China, and other authoritarian counterparts. These give as the regime sources of direct military and financial support as well as a set of advocates who act on its behalf within international institutions — a role that neither Iran nor Hezbollah is able to play. One of the effects is to insulate the Assad regime from the force of UN-backed sanctions that might impede the ability of its key authoritarian allies to provide it with essential assistance. 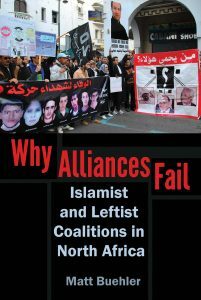 These relationships, especially the regime’s ties to Iran and Hezbollah, have implications not only for the survival of the Assad regime but also for the shape of an eventual post-conflict settlement. First, Iran, with Russian support, seeks a role for itself in the event that negotiations to end Syria’s civil war take place. While the United States and its European allies currently oppose such a role, they recognize that for a negotiated settlement to be stable it will need to take Iran’s interests into account, decreasing prospects for an eventual transition to democracy. Second, and perhaps more important, as the Assad regime deepens its dependence on authoritarian allies and is increasingly isolated from both Western democracies and international organizations populated by democracies, it becomes further embedded in relationships that diminish opportunities to moderate its authoritarian practices through either of the modes identified by Steven Levitsky and Lucan Way (“linkage” and “leverage”) or through other forms of conditionality (Levitsky and Way). These adaptations can be seen as extensions of earlier strategies of authoritarian upgrading, but with a more compact, militarized, sectarian, exclusionary, and repressive core (Heydemann 2007). That the Assad regime could accomplish these shifts was by no means certain. For many years, regime critics have described it as little more than an inept mafia, sometimes likening Assad to the fictional Fredo Corleone. As recently as mid-2012, the regime’s survival seemed very much in doubt. Opposition forces had seized much ground, including most of the Damascus suburbs, and many observers were predicting the regime’s imminent collapse. Mafias, however, do not have sovereignty. They do not control armed forces. They do not have vast state institutions and state resources at their disposal. While its supporters fretted, the Assad regime recalibrated its military tactics and reconfigured its security apparatus. With a capacity for learning that has surprised its detractors, the regime integrated loyalist shabiha militias (the word means “ghost” or “thug”) — including a wide array of armed criminal and informal elements — into a formal paramilitary, the National Defense Forces (NDF), under direct regime control. Since mid-2012, hundreds (perhaps thousands) of NDF members have gone through combat training in Iran, a direct form of authoritarian knowledge transfer. Following defections among lower-ranking Sunni conscripts and officers, new methods of monitoring and controlling soldiers’ movements were adopted. Iranian and Hezbollah advisors arrived to teach local commanders the fine points of crowd control, urban warfare, and insurgent tactics. The regime expanded its dependence on battle-hardened Hezbollah combat units, enabling it to regain control of strategic sites. Exploiting its monopoly of air power, the regime has sown chaos and instability in opposition-held areas, driving millions of Syrians out of their homes, eroding popular morale and support for the opposition, and preventing stabilization or reconstruction in opposition-controlled areas. Official media routinely highlight the prominent role of militant Islamists associated with al Qaeda in opposition ranks to reinforce the uprising-as-Sunni-terrorism narrative, and tout the regime’s commitment to minority protection and secularism (its reliance on Iran and Hezbollah notwithstanding) to rally its base. The regime has also restructured key institutions, including the Baath Party, to enhance cohesion and ensure the fealty of senior officials to Assad and his immediate family. By mid-2013, this amalgam of ad hoc adaptations permitted the regime to reclaim authority over most of the country’s urban “spine” from Homs in the north to Damascus in the south. The adaptations solidified support among the regime’s social base, prevented the fracturing of its inner circle, and disrupted attempts to return life to normal in areas outside regime control. The regime now dominates the strategically important Mediterranean coast and every major city except Aleppo. Most Alawites and Christians live in regime-held areas. It has secure access to Hezbollah-controlled parts of Lebanon and to the sea. With the partial exception of central Damascus, this zone has suffered massive destruction, economic paralysis, and large-scale population movements. Accurate statistics are not available, but it is safe to say that Homs now has many fewer Sunnis, while Damascus, Tartus, Latakia, Hama, and other areas under regime control have seen large inflows of internally displaced persons — perhaps numbering in the millions — including Christians, Alawites, and Sunnis fleeing the instability and violence of insurgent-held territories. In the decades before the war, Syria’s population of 22 million — which is 65 to 70 percent Sunni Arab, 10 to 12 percent Sunni Kurdish, 10 to12 percent Alawite, and 10 to 12 percent from Druze, Christian, and other non-Sunni minorities — had become increasingly dispersed across the country, shrinking the areas inhabited almost exclusively by one community or another. Urban centers had become increasingly cosmopolitan, benefiting from the inflow of Alawites and Kurds and from processes of urban migration as Syria’s economy modernized. The vast population displacement caused by the war is producing fundamental shifts in these trends. It has increased sectarian segregation within cities even as they become more diverse in the aggregate due to internal displacement and flight from insecure rural zones. It has also led to partial sectarian cleansing in rural areas, destroying longstanding patterns of inter-sectarian tolerance between Sunni and minority villages in conflict-affected areas. What is taking shape in areas under regime control is thus a variant of the authoritarian system of rule that the Assads built over four decades, modified by the demands of civil war. The insurgency has spurred the emergence of an even more tightly controlled, militarized, sectarian, and predatory regime than was evident in the past, governed by an increasingly narrow circle dominated by Assad and his family. It is more isolated internationally, more heavily reliant on a clutch of authoritarian allies, and focused mainly on survival at any cost. Whether the regime’s changes will be enough to ensure that survival is uncertain. Also uncertain is whether adaptations made to defeat a popular insurrection will last once conflict ends. There is no reason to imagine that the regime will not evolve further as its environment changes. Contrary to notions that civil war wipes the political slate clean, the available evidence suggests that Assad and his regime are determined to remain central to any postwar political order, whether it comes via the military defeat of its adversaries or through internationally supervised negotiations. Patterns of elite recruitment have strengthened the cohesion of formal institutions, notably the extent to which the regime has populated senior positions in the armed forces and the security apparatus with Alawite loyalists. For Eva Bellin (2012), this makes Syria the example par excellence of a coercive apparatus organized along patrimonial lines, with more at risk from reform than its less patrimonial counterparts, and more willing to use coercive means to repress reformers. Patrimonialism, however, cannot by itself explain the cohesion of the Syrian officer corps and its continued loyalty to the regime. Contra Bellin’s prediction, even large-scale and persistent social mobilization has not eroded the regime’s will to repress. Escalating violence did produce cracks in the military. Tens of thousands of rank-and-file conscripts, together with more than 50 non-Alawite generals and other senior officers, defected rather than shoot fellow citizens. Yet the center held. It did so because patterns of recruitment into the upper ranks of the military and its elite units were not simply patrimonial, but also sectarian and exclusionary in character. Identity-based recruitment was explicitly designed to strengthen bonds between the regime and senior officers, to raise the cost of defection, and to make defending the regime the military’s top priority. The result is an almost entirely Alawite officer corps that is stubbornly loyal to the Assads, willing to use every weapon it can (from cluster bombs and ballistic missiles to helicopter gunships and, reportedly, chemical munitions), and annealed against repeated attempts to persuade key figures to defect. Specific patterns of patrimonialism thus produce distinctive forms of cohesion and provide regimes with widely varying organizational, coercive, and adaptive capacities. At the same time, even if the defection of the military may be fatal for an authoritarian incumbent its cohesion is no guarantee of survival, especially once regime violence propels social mobilization beyond protest to the point of armed insurgency. Throughout 2012, with defections sweeping the rank and file, opposition forces seizing territory, and key units pushed to the point of exhaustion, it was far from clear that the cohesion of the officer corps and security elites would prevent the overthrow of the regime. A second resource played a critical role in stemming opposition advances and stabilizing the regime: informal networks of non-state actors, organized on the basis of familial ties, sectarian affinity, or simple mercenary arrangements, and cultivated by regime elites over the years to provide a range of (often illegal) functions that could be conducted without any formal scrutiny or accountability. Prior to the uprising, members of these networks, typically described as shabiha, engaged in officially sanctioned criminal activities, served as regime enforcers, and used violence to protect the privileges and status of regime elites. When protests began in March 2011, the regime recruited these loose networks to brutalize demonstrators. As the opposition militarized these criminal networks were gradually transformed, first into informal and decentralized paramilitary groups and later into more formally structured armed units that have been integrated into the regime’s security apparatus. Almost exclusively Alawite in composition, shabiha forces are responsible for some of the worst atrocities of the civil war. They serve as shock troops, defend Alawite and minority communities against opposition attacks, terrorize and brutalize Sunni communities, assist the regime in controlling army units to prevent desertions and defections, and fight alongside the armed forces in offensives against opposition-held areas. They provide levels of cohesion and loyalty that sustain the regime’s capacity to repress far more effectively than it could with ordinary conscripts. Had it not been possible for the regime to draw on and professionalize these informal sectarian-criminal networks, its prospects for survival would be much more precarious. A third critical resource grows out of the Assad regime’s alliances with Hezbollah and Iran, and the additional military capacity that both have provided. Hezbollah has dispatched thousands of fighters to assist the regime in a major offensive against opposition-held positions in western Syria along the border with Lebanon, in Homs, and in the suburbs ringing Damascus. Iran is alleged to have dispatched its own combat forces as well, and has sent military and security advisors who have produced tangible improvements in regime units’ combat effectiveness. Perhaps most important, however, has been an explicit effort to model the newly established NDF after the Iranian Basij, a “volunteer people’s militia” created at the urging of Ayatollah Khomeini during the 1980 to 1988 Iran-Iraq War that subsequently became a central component of Iran’s internal security apparatus and played a major role in the suppression of the “Green Movement” protests following Iran’s 2009 presidential election. Authoritarian learning and knowledge transfer have thus produced significant adaptations in the scale and organization of the Assad regime’s coercive apparatus, enhancing its capacity to fight a popular armed insurgency. They have also amplified that regime’s existing tendencies, boosting sectarian hard-liners and institutionalizing repressive exclusionary practices within what is left of the Syrian state. To be sure, the regime has leveraged its strategic relationships with Iran, Hezbollah, and other authoritarian actors for purposes that go well beyond the upgrading of its coercive apparatus. Iran has provided the regime with billions of dollars in the form of loans and contracts. Russia has provided arms, money, and diplomatic cover, several times voting to prevent the imposition of U.N. Security Council sanctions. China has followed Russia within the United Nations, though it has otherwise played a negligible role with respect to Syria thus far. Nonetheless, the reconfiguration of the Assad regime’s coercive apparatus, and the consolidation of power within institutions organized along exclusionary sectarian lines, are most consequential for the kind of postwar political arrangements that will emerge, and least conducive to the prospects for an eventual transition to democracy. The transformations undertaken by the Assad regime are not occurring in a vacuum. Nor is the gradual, bloody reconsolidation of the regime entirely a product of its own actions. It has benefited from an opposition that is divided along many different lines yet increasingly dominated by Islamist extremists. Yet the course that the opposition has taken is not entirely a product of its own intentions or design. The Assad regime itself has helped to mold that course, by resorting immediately and disproportionately to violence when protests first broke out in March 2011, by relentlessly demonizing protesters, by sowing fear among the populace whom it still controls, and by creating disorder in the areas that it has lost to the opposition. In this sense, there are clear and significant interaction effects between how the regime has adapted to the challenges of mass politics — driving peaceful protests toward an armed insurgency — and the transformations experienced within the opposition. Extremism, polarization, and fragmentation are much easier targets for the regime than peaceful protesters seeking constitutional and economic reforms. Its cynical manipulation of the opposition succeeded, but at a terrible price. Steven Heydemann is a special advisor at the United States Institute of Peace. He specializes in the comparative politics and political economy of the Middle East, with a focus on Syria. He is author of Authoritarianism in Syria: Institutions and Social Conflict, 1946-1970 (1990) and “Upgrading Authoritarianism in the Arab World” from the Saban Center for Middle East Policy at the Brookings Institution. He is co-editor of Middle East Authoritarianisms: Governance, Contestation, and Regime Resilience in Syria and Iran (2013). [i] Hassan Abbas, “The Dynamics of the Uprising in Syria,” Arab Reform Brief 5 (October 2011).